Having filmed many weddings in the past, last saturday I found myself thinking of this question…What really makes a wedding video work? I did not mean the camera and all the editing equipment/knowledge that goes into the post production. I meant, what was the actual ingredient that makes a wedding shine through on the screen. Although weddings have a form of schedule, which I am sure is made loud and clear by the toastmaster during the day, the wedding itself is not scripted at all. Unlike a blockbuster movie or a play at the theatre where the actors and actresses are instructed by the director and learn their lines, the wedding film is as real life as you can get. 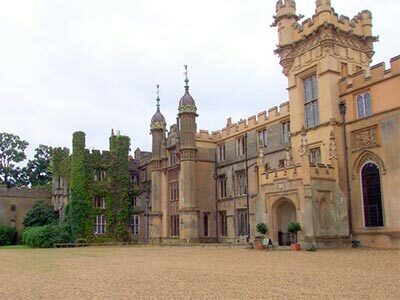 I was actually at Knebworth House filming our first wedding of the year last saturday. The setting was, as you can imagine, picturesque. Any good videographer could make the atmospheric shots look amazing in this location. But for me, I answered my own question after observing the Bride and Groom throughout the day. They were helplessly in love with one another and most importantly they were in love with their special day. Their joyful eyes and endless laughter is what sealed this answer for me. The realisation that true emotions are what make wedding videos work was a lovely feeling. Needless to say, the edit has started in our studio in Aston and already the true happiness this bride and groom shared is dictating the screen more than any director could ever tell them to!